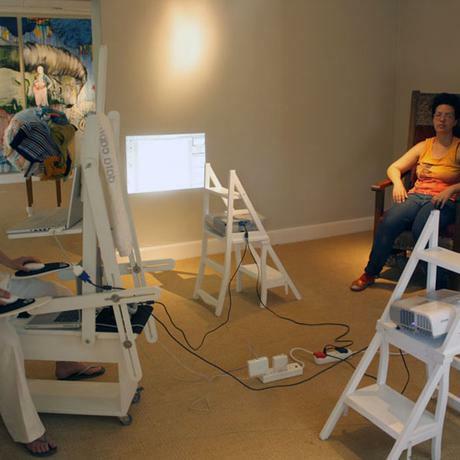 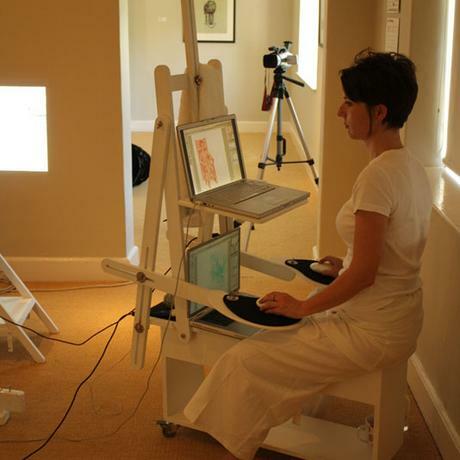 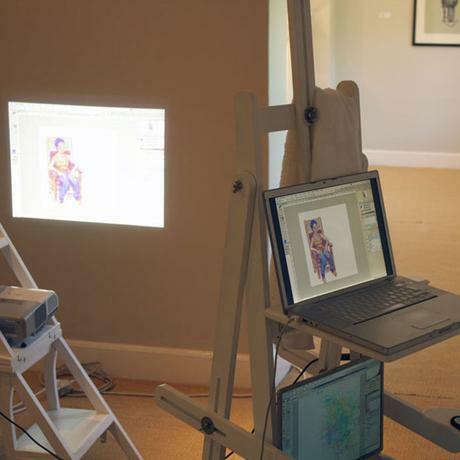 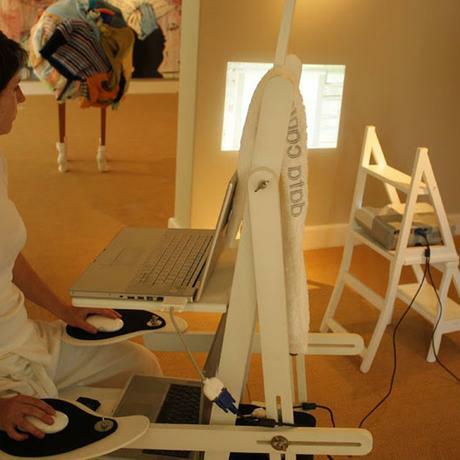 Data capture: after image was performed as part of a daylong residency program in Visitor, an exhibition by Liza Grobler, Irma Stern Museum, Cape Town, in 2009. 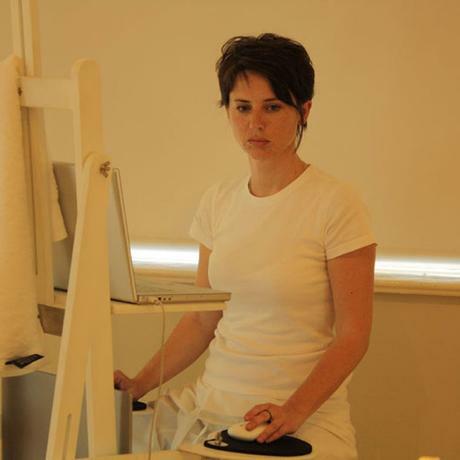 A portrait of Liza Grobler in conversation with the deceased artist Irma Stern was created using an ambidextrous drawing process. 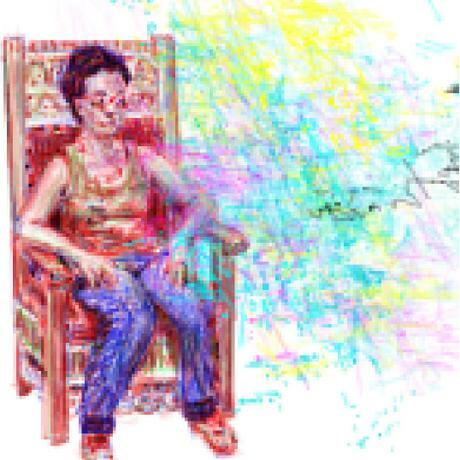 I am simultaneously drawing an observational portrait in red, green & blue layers using my right hand and a blind contour drawing using my left hand on another computer using the inverse colours (cyan, magenta & yellow). 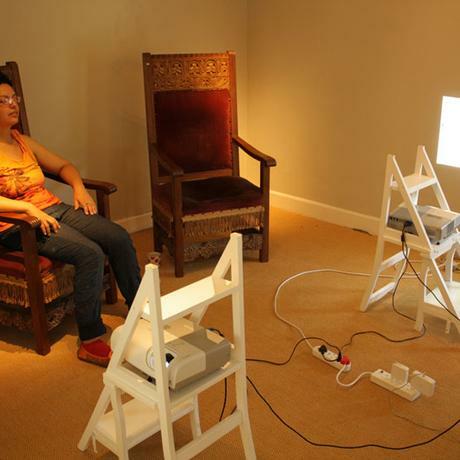 The two images are then superimposed creating a portrait of the ‘seen’ and ‘unseen’.